What is the secret to all of this? High shear strength and very low peeling strength. The pallet loads do not slip and the packages can be easily separated. 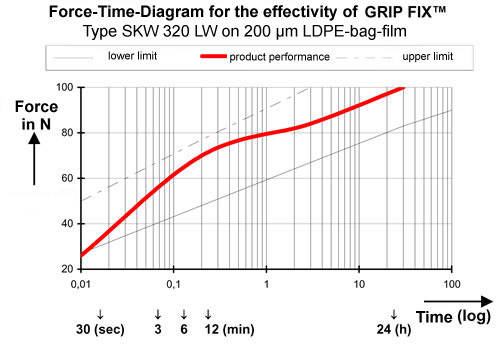 In general, GRIP FIX™ leaves no residue after depalletizing. One other advantage depending upon your requirements: we supply our GRIP FIX™ in a range of container sizes, from 1 kg hand-held bottles through to 1,000 kg containers.